Apart from cleaning, keeping your house or office well-organized and neat also means to regularly get dispose of any junk that has been generated over time or during relocation or a reconstruction process. Now Removals can assist you with the collection and disposal of a wide range of waste by relying on qualified experts and professional rubbish trucks. We are a London based removal business that strives to protect nature in any way it possibly can. That is why every single step of the waste collection service we offer to our clients in London is designed to keep our nature clean. Our trained and experienced staff will safely collect your waste using a specific method, the choice of which is based on the material of the rubbish (glass, plastic, wood, metal and etc.). Using environmentally-friendly and efficient rubbish lorries, our drivers will transport the junk to a designated disposal area. We will recycle the items that can be reused in a modern and professional manner. If you have hazardous waste on your property, do not think twice and call Now Removals. Do not try to dispose of the rubbish on your own. Instead, allow our competent and diligent team to take care of it. 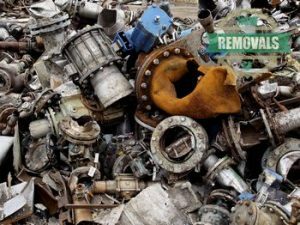 We have the proper equipment and the best training to easily and safely complete such junk clearance jobs. Get in touch with our polite and dedicated staff and discuss the scope of the given rubbish removal job. Based on your budget, preferences and the nature and size of the junk collection project, the firm’s thorough experts will provide you with a personalized custom quote. Now Removals can be hired at a time and day that is most convenient to you. We are open on weekends, as well as on public holidays. London is known for many things – world-recognized landmarks, well-developed public transport, the Queen… The UK capital is also a very sporty city. The most popular sport in London is football. That is probably why there are 14 local Football League clubs, among which are team like Chelsea, West Ham United, Arsenal and Tottenham Hotspurt. London has hosted the Summer Olympic games three times and it has organized four Cricket World Cup finals. The Wimbledon Tennis Championships, the oldest tennis tournament in the world, is also organized in the English capital.